When it comes to buying AV tech, the myriad options can make the task daunting. So many factors affect final decisions — budget constraints, physical space needs, flexibility to benefit the highest number of students, ease of use and maintenance, just to name a few. 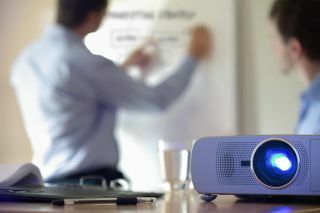 Unfortunately, IT products like projectors and displays are particularly vulnerable to sustainability challenges that are even more difficult for the average school board or buyer to assess. Human rights violations are common in the factories, and hazardous substances are often used both in products and their manufacture. Clearly, no school would knowingly support or condone such practices. But on top of all the aspects to research, how can educators ensure they are not only opting for eco-responsible products, but truly sustainable tech? TCO, a non-profit based in Sweden has spent the past 25 years making it easier to do just that. TCO doesn’t solely focus on sustainability when it comes to their projector and display picks. Great quality is a baseline standard for inclusion. This can also translate to savings. Products can often have a shorter life span because of poor ergonomics, low quality and when they are not able to be repaired or upgraded. More than 2,800 IT products from 20 brands are currently certified, with a convenient online Product Finder offering easy access for purchasers to peruse. Popular brands leading the projector list include Casio and Epson. Lenovo, NEC, Philips, HP and ASUS offer TCO Certified display options. One requirement for projector TCO certification is for the product to offer excellent image quality up to a specific maximum projected image size. The product also requires an Eco Mode — this means that the projector can be set to a lower light intensity, which reduces the energy consumption and noise level and increases the lifespan of the lamp. The projector, including all of its components and subcomponents, must be free of mercury and other harmful substances. Tech purchase decisions of any scale are complicated and must include consideration of many aspects, including sustainability. In short, this is one cheat sheet is one any teacher could get behind.